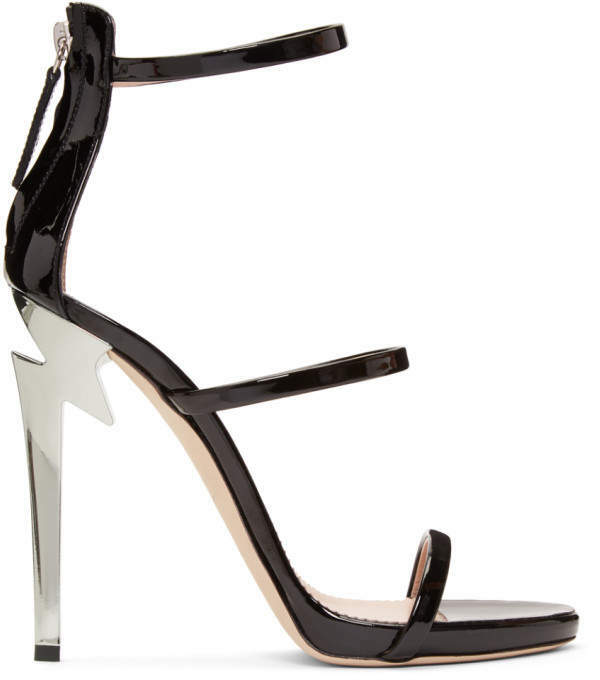 Patent leather sandals in black. Open almond toe. Straps at vamp and ankle. 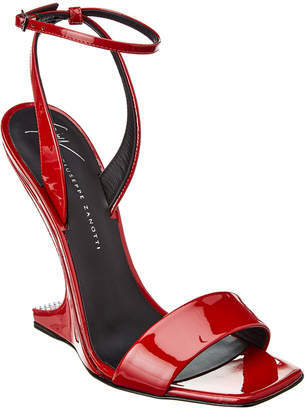 Zip closure at heel. Silver-tone logo stamp at beige leather footbed. 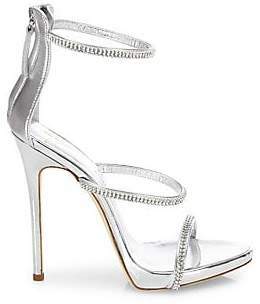 Sculpted stiletto heel in silver-tone. Leather sole in beige. Silver-tone hardware. Tonal stitching. Approx. 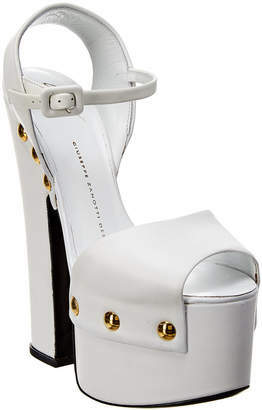 4.75 heel.